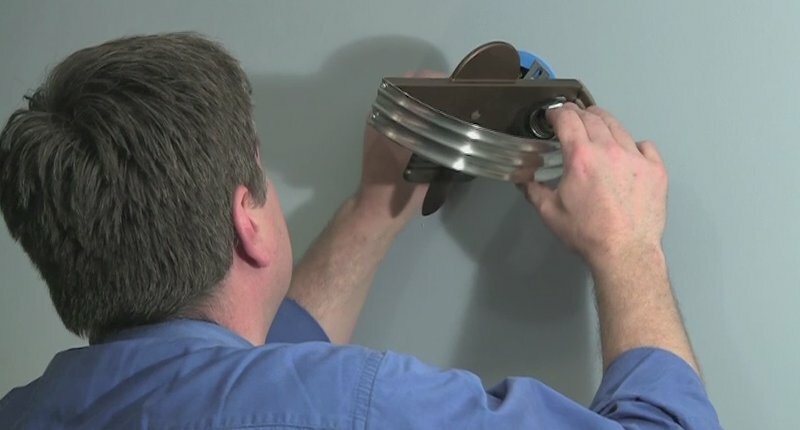 In this video The Handyguys discuss installing a wall sconce to add ambiance lighting, that wont glare on the screen, to a basement home theater. When you are considering lighting for your home, whether it be for a home theater, television viewing area, home office, kitchen or other places, it is important to consider placement of lighting so it will not cause glare. When Brian finished his basement he included a home theater. (It’s really not that grand, more a movie watching area) The lighting Brian originally installed were some recessed can lights. Once the wide-screen TV was acquired, the surround sound set-up and the furniture placement finalized, it became apparent that light from the recessed cans would cause glare on the TV screen. The solution became to install some wall sconces. Brian was lucky to find Rejuvenation Lighting out of Portland, OR. 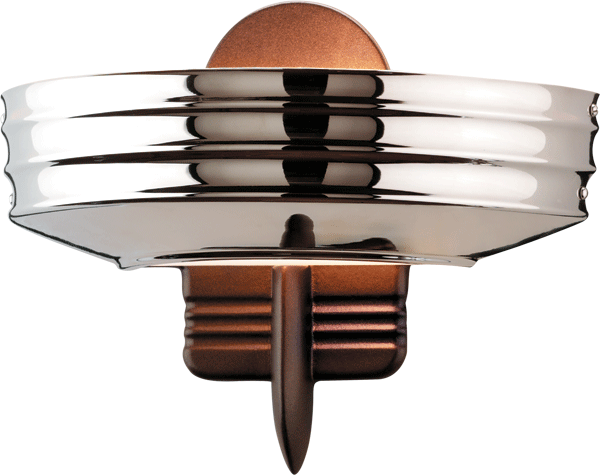 Rejuvenation has a large selection of wall sconces. Even better, they had lights that had an old-time movie theater look. We wont cover fishing wire in this video, that will be sometime later this year maybe. Connect fixture wires to house wiring – white to white, black to black, ground to ground. If your fixture doesn’t have a ground wire, the Romex ground should be connected to the fixture bar ground screw. That’s it, in a nutshell, if you have any questions about installing a light or any other questions for The Handyguys feel free to contact us. Rejuvenation has provided The Handyguys some of the products used in this evaluation. However, the opinions of The Handyguys are entirely our own and we have not been paid to make positive comments. oooo, you have anticipated a project we have coming up! Danielle – Thanks for taking the time to comment. We don’t show every step of the process in the video, feel free to drop us a line if you have any questions. I had at least 2 problems with that video/install. 1. You did not show or discuss anything about sourcing the power (i.e. the 14 guage wire) for the light. You said you would talk about fishing the wire in future videos but that doesn’t seem all that helpful if you are showing a remodel box being used. 2. I don’t think you had enough wire stipped out of the romex. I believe code says you need about 10 inches that can be extended out of the box. You had maybe 3 inches. You need to allow more for possible future installs in that box. 1) Agreed, we did not discuss sourcing the power. It was beyond what could have been covered in an online video. There are many many variables when sourcing the power for a new light. The number of devices on that line need to be considered, their draw, the wire size, the breaker size, the length of the runs, etc. 2) The code says at least 6″ from where the wire enters the box and 3″ outside the box. I’m don’t want to pull the fixture down to confirm but I think I was close to that. Also, I had about 1/2″ to 3/4″ of the romex sheath left in the box when I was done. This may not have shown clearly in the video once produced. The box used was actually a 3 inch round box which is smaller than most (it was required due to the particular fixture requirements). That may have contributed to an illusion of using less wire that may be required. I also recommend using the deepest, largest, box possible when doing these types of jobs it makes future additions easier. 1) Did you get the polished or brushed nickel finish? Will one be more reflective than the other? Meaning, other light sources bouncing off the “polished” nickel and being bothersome to the eye. Just asking. 2) How many of these sconces did you install in your home theatre? Did they produce sufficient lighting or do you also have other light sources that you use when you are not concerned about the “hot spots” of your TV? 3) In respect to your TV, where did you place the sconces? Side walls? The wall that faces the TV? The brushed finish. I don’t think one would be more glare than the other. I have them on a dimmer so we can dim down during a movie. I installed 4 sconces. In the room I also have a floor lamp and 6 recessed lights. The sconses are more of a secondary source mainly used for ambiance and subtle lighting while watching a movie. They were placed on the side walls.